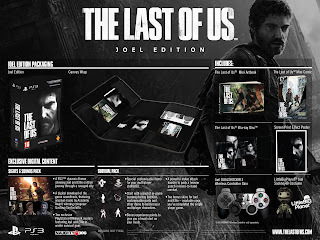 Sony recently announced that they will be releasing two Special Edition packages for The Last Of Us which is set to be released on May 7th 2013! 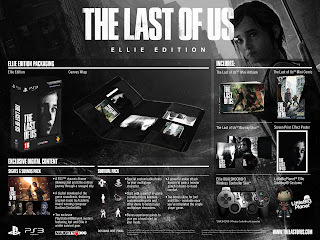 Fans will be able to choose between The Last of Us: Ellie Edition (available exclusively at GAME) and The Last of Us: Joel Edition (available exclusively at Tesco & Independents), each packaged in a unique canvas wrap, and filled with exclusive physical and downloadable content. - The Last of Us mini artbook: explore the world of The Last of Us through some of the remarkable artwork that gave shape to the game. - The Last of Us: American Dreams Issue #1: the first in a series of comics created in partnership with Dark Horse to delve into the backstory of Ellie. 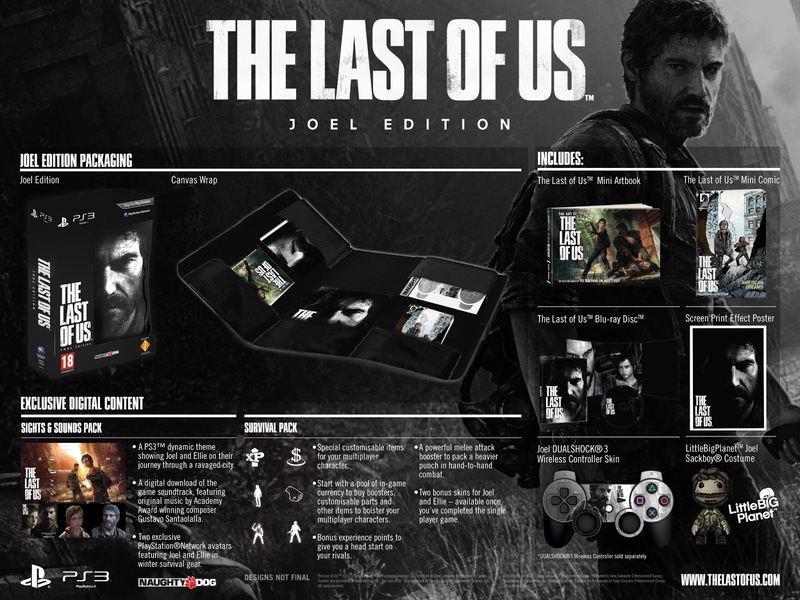 The version included features a variant cover found only in these special editions. 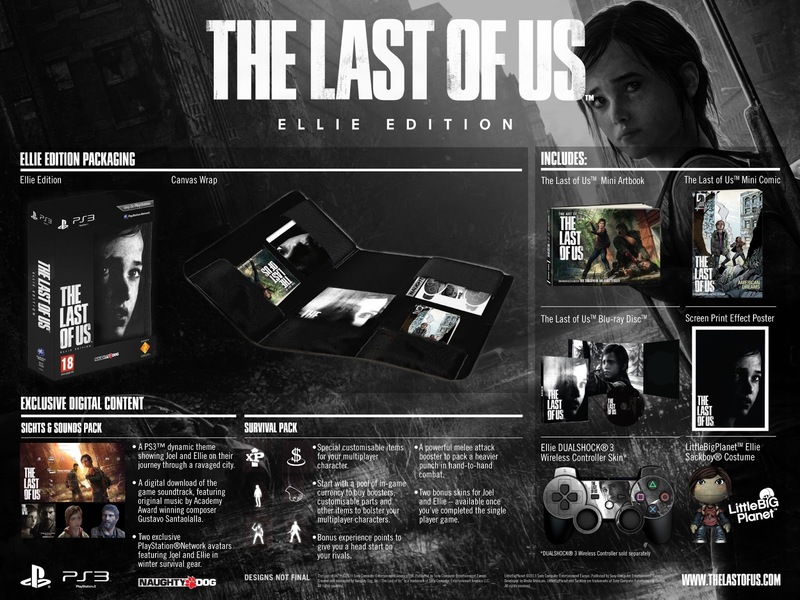 - Exclusive game pack: The Ellie Edition showcases the character Ellie on the game pack artwork, while the Joel Edition will feature Joel’s face. - Collectable poster: an exclusive screen print effect poster of each character can be found in their respective editions. - DualShock 3 skin: skin your PlayStation 3 controllers with Joel or Ellie, depending on which edition you decide to order. 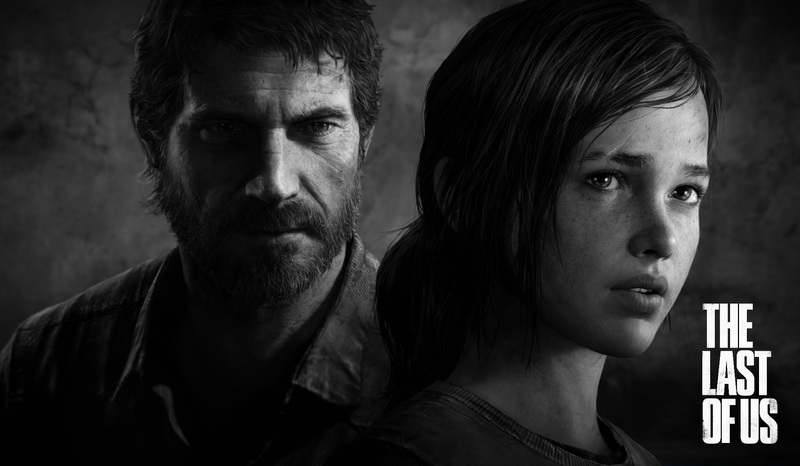 - Bonus Joel and Ellie skins available once the single player game is completed. - Sights & Sounds DLC Pack. - Official Game Soundtrack by Academy Award winning musician Gustavo Santaolalla. - PlayStation 3 Dynamic Theme. 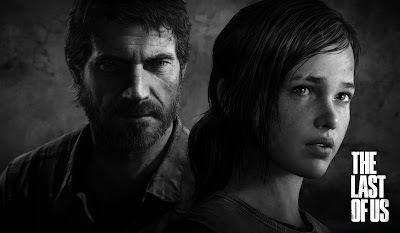 - PSN Avatars: Winter Joel & Ellie. - LittleBigPlanet Sackboy Skins: voucher codes for a downloadable Joel skin or a downloadable Ellie skin for your Sackboy character depending on which special edition you choose. See box art for both versions below!